In the aftermath of numerous high school athlete deaths and NFL player lawsuits involving traumatic brain injuries, health officials, legislators, parents and school administrators are pursuing options to make high school sports safer for young players. Traumatic brain injuries may not be immediately identifiable, but can have serious consequences for victims. Head injuries can cause immediate impairment as well as long-term damage, especially with repetitive exposure to impact. Massachusetts lawmakers are currently in the process of creating a bill that would require testing of young athletes for brain injuries. Advocates for this bill assert that providing an initial screening process could reduce the chance of injury and give doctors additional information in the event of an accident. Our Massachusetts brain injury attorneys are dedicated to protecting young athletes against long-term damage caused by brain injuries, including concussion. We are committed to staying abreast of all developments in the law and in public health to prevent future accidents and injury. Throughou Massachusetts, young athletes are at risk of brain injury every time they step on the field. State legislators have heard from concussion victims who suffer from migraine headaches, memory loss, and other cognitive issues related to sports injuries. For some victims of sport-related accidents, an injury can strip a student’s ability to drive, use a phone, or have normal activities with friends. Concussions can lead to migraine headaches and in some cases, students are told to refrain from reading, watching TV or engaging in other activities that could slow brain healing. Not only will these side effects impact a teen social life, but a brain injury could also result in lower grades and ultimately impact long-term potential. While students may enjoy sports and competition, no game is worth an injury that costs long-term brain function and ability. A new law currently under review by the Massachusetts legislature would require that all athletes be tested before they step onto the field. If athletes are injured or suffer from an apparent head injury, doctors can trace their potential loss of function to those initial screenings. According to medical professionals and brain injury victims, the tests would increase the opportunity for treatment and would give doctors more confidence when clearing athletes who have suffered a sports-related head injury. Every parent who has a child in football, hockey, gymnastics, or other high impact sport should be concerned about the danger of head injuries. A traumatic brain injury can cause permanent cognitive disabilities including memory loss, change in personality, emotional disorders, and mood swings. In the most severe cases, victims have a permanent loss of brain function. For high school students, this could impact high school grades, college admissions, and long-term career opportunities. 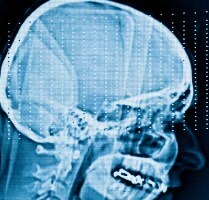 Many head injuries are not diagnosed at the time of the accident. It will often take a loved one to recognize changes in behavior or a loss in cognitive function after an accident or injury. Increasing public awareness and safety related to head injuries will help to reduce injuries and ensure that students are getting proper treatment. Currently the bill is in committee and being reviewed.